The risks and unfortunate happenings involved while riding a bike always make us think twice before we buy a bike. But for some, they enjoy the fearless fun but in a safe manner. So, certain gears are needed to keep you secured if something unpredictable occurs. 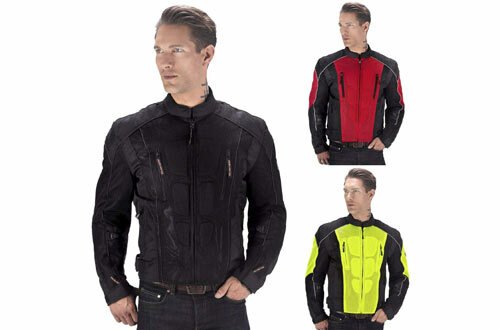 The mesh motorcycle jackets will be there to protect you from any unnecessary hazards. 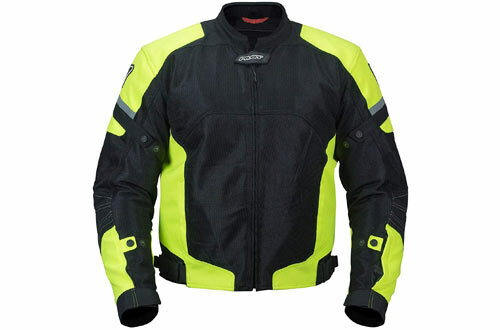 Be it rough winds or dust, the jacket will shield you effectively and help you to experience a smooth journey. You may feel hot due to humid or dry weather and so, the cooling mesh system will aid in air ventilation plus keep you cool at times. 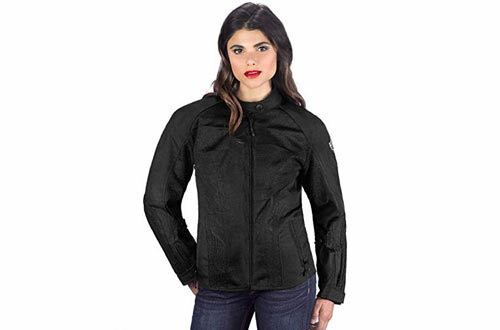 The jackets are designed in a way that they are adjustable and support your spine. However, the benefits are many but how many jackets that claim to be the best stand by their words? 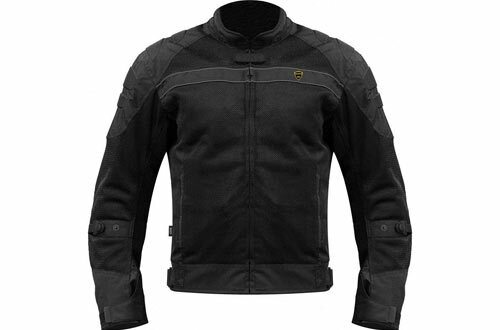 Well, our mesh motorcycle jacket review has sorted the jackets that are truly exceptional and functional. 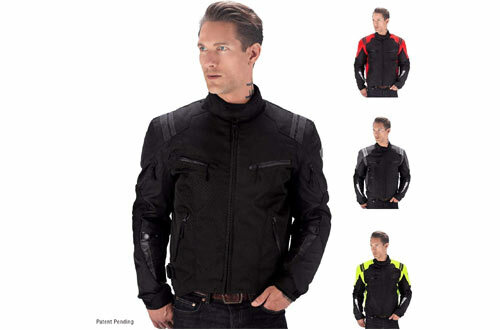 When you are out for an adventurous ride, getting hold of a mesh motorcycle jacket with armour is necessary. 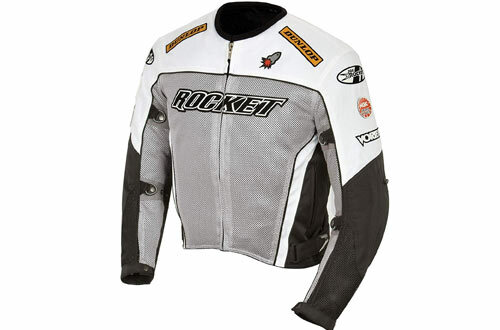 And the jacket from Pilot Motorsport has cellular armour for saving your elbows as well as shoulder from sudden impact. The absence of centre seam provides maximum strength and the overlay panels are also abrasion-proof. Also, the zip-out sleeve is both water resistant as well as wind resistant and the membrane of REISSA helps in the moving the moisture in or out. Finally, you can also replace the back pad with Pilot Core back pad that is made of microcellular. The Red Tab Visibility System on the pockets, as well as other attachment points, facilitates in viewing when there is low light. Has a neoprene collar that is rolled. The REISSA Membrane is removable and also breathable. 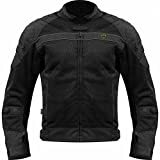 A jacket that is crafted of 210D micro mesh just to render better breathability, it has overlay panels of 600D NPF on the shoulder plus elbows. For avoiding any sort of discomfort, it has a neoprene collar which is rolled up. The armours in the elbow and shoulder area use microcellular PU that is CE approved. Further, the visibility is increased for the darkest conditions by using Red Tab Visibility System around the pockets and any sort of attachment point. To add to its durability and strength, the seams are stitched twice and also thrice. Scotch lite strips of 3M dark are used for making things visible for users. 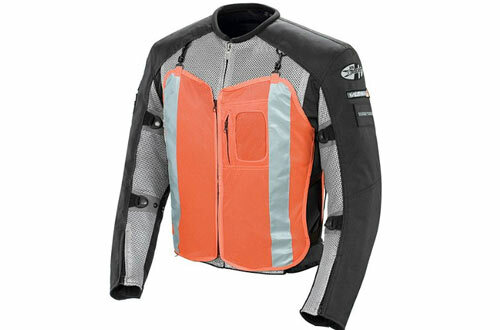 The Pilotex mesh allows the rider to stay cool. 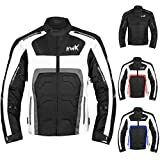 Designed with the aim of covering your torso, arms as well as back, it is the coolest mesh motorcycle jacket as the whole thing has been made for keeping one cool even during tiresome rides. 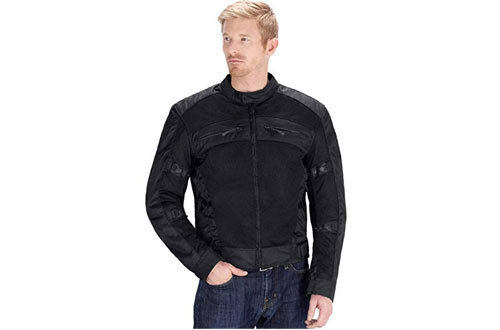 This fitted jacket is well-protected and armoured so you have no concerns regarding your safety. The upgraded mesh technology is meant for delivering ultimate comfort and will keep you fresh throughout the ridding session. Have 2 pockets on the exterior whereas there are many other pockets in the inner part of the jacket. Feels light when you will put it on. A full range movement without any restrictions is assured. Another Viking Cycle jackets that will meet the needs of the users, it comes with armours that are totally certified by CE. 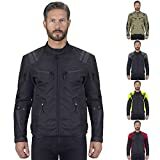 The exclusive feature of the jacket is that the SureFit adjustment system has multiple points and you surely do not have to compromise on the fit. Moreover, for keeping your spine safe, it offers a spine pad that can be removed. Store your belongings on the 2 outside pockets and also on the inner pockets. Being an all-season jacket that has CE rated armours, it is a rugged and sturdy option but still, you will feel comfortable as it is soft. 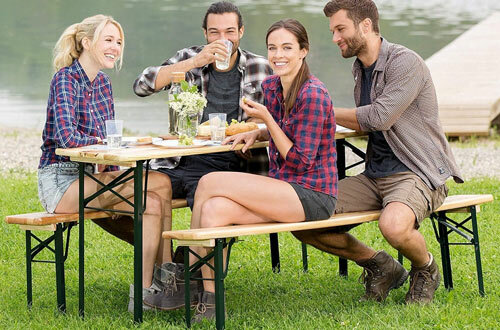 By using a REISSA membrane, it becomes a fully water-resistant jacket. 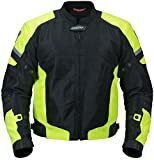 As the mesh motorcycle jacket with a waterproof liner underneath guarantees you protection against rain, you can go on long rides without being tensed about the weather. 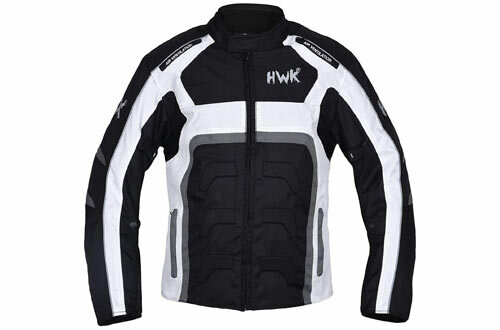 Further, the outer shell is made of Polyester 600D Cordura and has safety stitching. Thus, you can expect full durability. Includes as many as 6 padding of rubber. Reflective fabric for making it easy for you during nights. 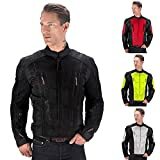 A mesh adventure motorcycle jacket whose outer shell is crafted of 600 Rock Tex, it is a waterproof jacket that will accompany you even in the wildest rides. 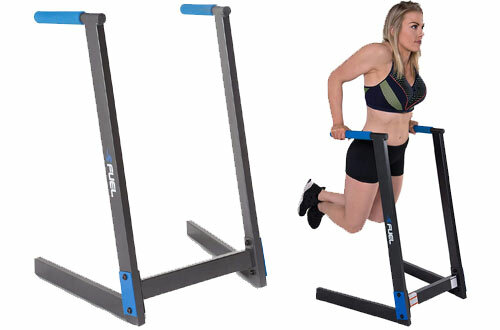 The Sure Fit system allows adjustments according to your body type and you get 6 points. Also, the sleeves are insulated throughout its length and can be removed as well. Plus, its waist and cuffs can be adjusted. Spine protector can be inserted and also removed as per convenience. An exclusive wire system is present for the headphone. 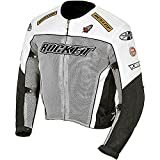 This full mesh motorcycle jacket has FreeAir mesh torso as well as back, the Joe Rocket jacket will be your go-to piece. With a FreeAir poly/mesh shell, it has RockTex around your elbows, shoulders and especially the rib area so that no unfortunate harm is caused. 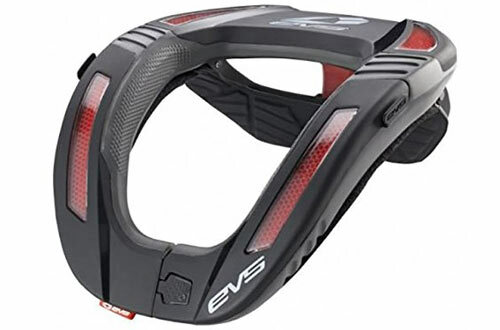 Spine protection is necessary for avoiding any injury and a pocket has been made in the jacket for fitting the spine protector. Comes with a water-resistant liner that can be detached when not needed. Uses reflective stripes for proper visibility. 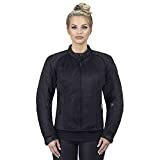 Even women get the adrenaline rush to feel the speed and the women’s jacket from Viking Cycle will not pose any threat for fulfilling your biking goals. Installed with cooling mesh for the vital areas, the intelligent SureFit adjustment system offers numerous points. It qualifies the standards of CE and the reflective piping helps in visibility. For easy reach and storage, you get multiple pockets both inside and outside. 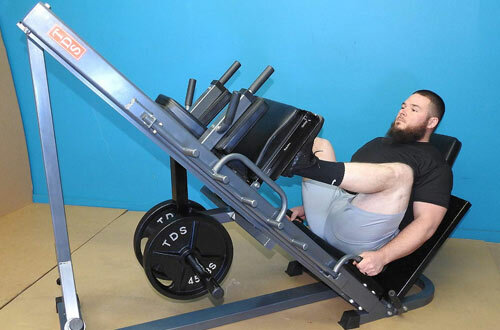 Can take the shape of your body type as you can custom fit it by making adjustments. A cool and refreshing feeling. A jacket that aims in providing maximum breathability, your bike trip will not go on waste as the exterior shell uses mesh fabric for giving a cooling feel. It has impeccable sturdiness as the jacket has been triple as well as double stitches. The armours located in the specific areas are fully removable and so is the spine pad. 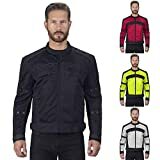 Furthermore, you do not have to worry nighttime visibility as the reflective strips on the cuffs plus waist will do their job well. The GDM full-sleeve liner will serve as a security during wet and freezing conditions. Also, it can be removed. The best product must manifest all the positive features and the mesh motorcycle jacket from Joe Rocket has everything you seek to find in a jacket. With a shell made from Free-Air poly/mesh, you also CE certified protectors and spine pad pocket for added safety. 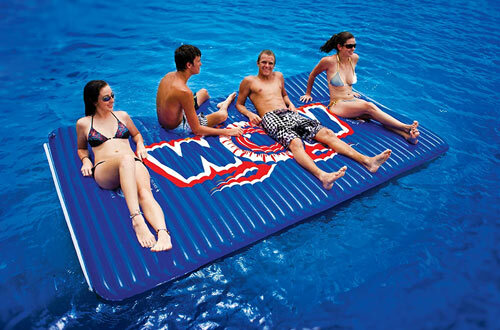 Besides, the water-resistant liner keeps you dry during wet situations. A safety vest that is reflective can also be folded. 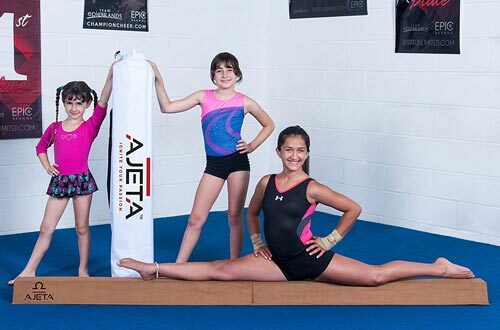 Elastic sleeves along with waistband. Never stop yourself from experiencing the thrill and excitement when you are on a bike. 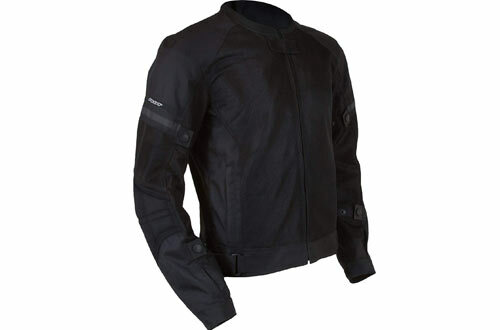 And the most protective mesh motorcycle jacket will be your constant support providing a hassle-free ride.